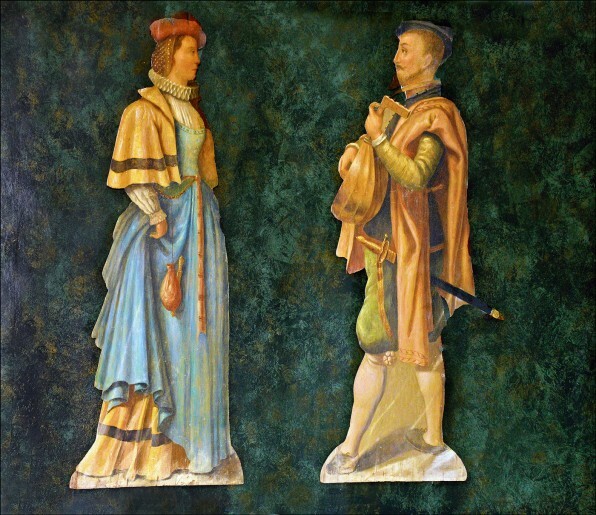 Depicting a lady and her suitor. 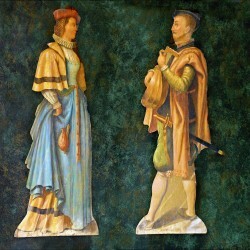 Both figures dressed in 17th century attire, he serenading her with a lute. Each made from a single piece of wood with a ring for hanging. 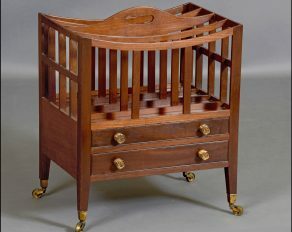 Dummy boards or silent companions were from the early 17th century used as a form of house decoration. 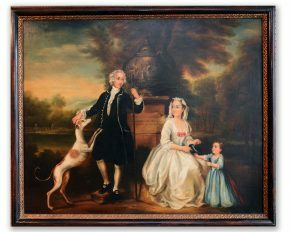 Generally made by professional sign-painters have their origins in the trompe-l’oeil of illusionistic style painted by Dutch artists in the early 17th century. Flat cut out figures painted and shaped in outline to resemble figures of human and animal life were placed in corners and on stairways to surprise visitors or in front of empty fireplaces in the summer.